Spruce up the neighborhood and add some custom flair to the front lawn while promoting your cleaning business with professionally-designed, completely personalized yard signs. 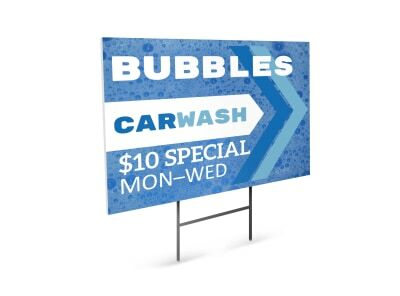 MyCreativeShop has a variety of attractive and eye-catching cleaning yard sign templates for you to choose from. Simply select your favorite, throw it in the online editor bucket with a bit of soap and some virtual elbow grease, and it will come out sparkly and new – not a dishpan hand in sight! 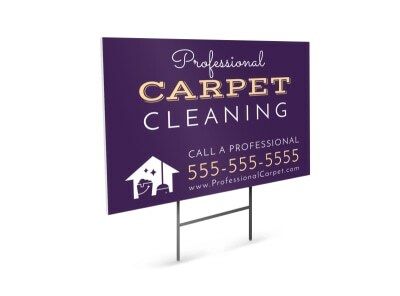 Line up new carpets to clean by utilizing strategically-placed, fully-customized yard signs throughout your service area. 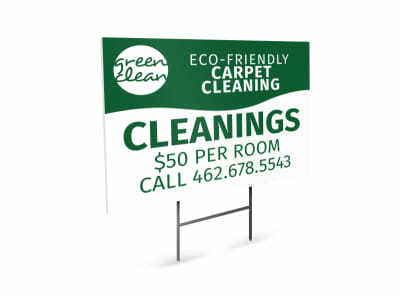 Cleanly-designed signage gives new customers the impression that your business and work ethic are equally clean and professional. At MyCreativeShop, we want to help you put your best (plastic bootie-covered!) foot forward, so our design team has been working hard to create high-quality carpet cleaning yard signs for you to customize. Our online editor is completely user-friendly, and we offer all kinds of tutorials to help you craft your best possible signage. Upload your logo, tweak the color scheme, and offer a great promotion along with your phone number to really catch their eye. 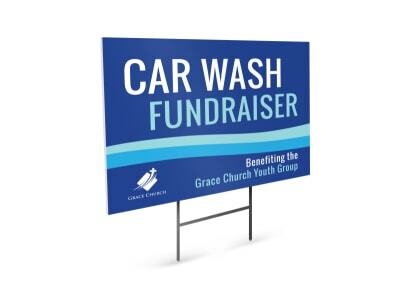 Once you’re satisfied, order up a set of printed yard signs from us or send the finished PDF anywhere you like. Grab a stack, then throw on your walking shoes and get started!